So you thought once you completed nursing school that was it? Surprise! Now you need to navigate orientation, residency, and your first year as a nurse all the while focusing on being a safe and competent nurse. If I had one takeaway from orientation it is this: Do not rely on others to provide your orientation experience. Be proactive, go out there, and learn! So you’ve landed your first nursing job? Congratulations!! Guess what, learning doesn’t end here! If you were lucky enough to get into a good residency program that is awesome but who do you think is responsible for your orientation and that you get everything you need? It is still YOU. Nursing is all about advocacy. The first person you learn to advocate for is going to be yourself. You will have to speak up when it is uncomfortable and ask for help when you don’t want to. It can literally be a life or death situation. Learn now how to advocate now for the easier stuff and you will be successful down the road and have experience when it comes to the more challenging situations. Take the time out for your breaks. IT'S THE LAW. I have worked in different situations where the busiest and easily burnt out nurses never took breaks. Do you think that makes you a hero? NO. You will be replaced with another nurse as quickly as you leave so TAKE YOUR BREAKS (This is for bathroom and water as well). No excuses that you are “too busy”. News flash: Nursing is 24/7. Repeat that to yourself slowly. Nobody can do ALL the things ALL the time. So stop trying. Get the most important stuff done and learn to delegate and ask for help. Nursing is a team effort and learning to utilize your resources will go a long way. Didn’t get to try as many IVs as you wanted? Ask your charge nurse to give you some extra opportunity. Don’t understand a certain procedure or test? Ask to go down with a patient to observe and see what it’s all about. You have to ask for yourself and speak up when you don’t understand something. These are just the things you KNOW you don't understand. Sometimes you don't know what you DON’T KNOW. Ask your unit educator, manager, preceptor, residency organizer about education opportunities your hospital offers. A lot of times there will be Grand Rounds, Workshops, and Conferences that you can go to for free CEs. Use them wisely! Who is the one nurse you can ask questions and know they will point you in the right direction>? Seek them out and also understand it doesn't’ have to be a nurse! Are you on a pulmonary floor that has a lot of trachs or pulmonary patients you don’t quite understand? Find that Respiratory Therapist who likes to teach and show you the things! 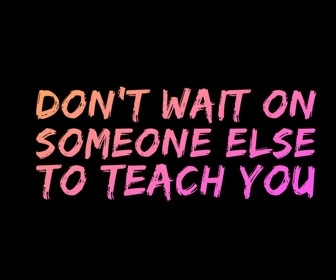 And learn!! Do the same thing for other disciplines. Most people enjoy teaching! There is a lot you can learn from them! Don't’ forget your Nurse Practitioners, PAs, and Physicians who enjoy teaching as well. Get them in a not so busy setting and you will be shocked at how much they enjoy explaining things. Is there something you want to learn more about? Ask your manager or educator if an in-service is possible. Most of the time different departments will have a short in-service when something is changing with a process, or staff is having difficulty. This allows for more hands-on practice and opportunity to ask questions in a slower setting. Ask a coworker if they have any subscriptions, maybe they would bring them in to share with you. 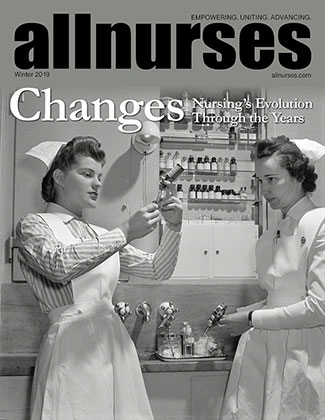 Become a member of organizations related to the type of nursing you are learning. You may already have an idea about your personality and learning style but these assessments help you to understand further what may help you more in relating to others and how to learn new concepts. I thought I was a tactical & writing learner but I found out I’m actually multi-modal and need different formats to fully learn and understand a concept. Policy STAT- Know your policies and WHY. (I’m a why person, it helps me remember more). Usually, the WHY for policies is for safety. Understand policies are meant to be used as a strongly suggested guide but might not be the best for all patients in all circumstances. Lippincott- Procedures and supplies needed as well as nursing implications. Medication Lookup---- Know what you are giving your patients and WHY. If you don’t know, look it up beforehand. Don’t wait for your preceptor to tell you. Use a drug book or your hospitals’ online resources. Wow, this is a great article that covers a lot of great ground on putting you in the driver seat of your learning! I agree with it and want to add that it might be good to pick 1 or 2 of the suggestions on how to be proactive and then add as you grow. I know for me, it can feel overwhelming to try to implement all of these(which isn't what was suggested). I especially liked the idea on orientation experiences- ask, ask, ask to learn! You will stand out on your unit and I'm sure other nurses will say, "Hey, you want to see (fill in the blank)?" or "Want to try (something you've always wanted to try)?" Awesome suggestion! One suggestion on being proactive- be open, willing and excited to floating wherever you work. (ok take a deep breath, relax, let me share why) Why?!?!? So glad, you asked- it shows you have a great attitude, you will learn a new patient population and you'll rub shoulders with other nurses and HCPs on another floor. If you do the above suggested items, you are preparing yourself for a float with flying colors because you have established yourself as a learner and open to new challenges. Having a good protocol physician and supportive local community you can ask questions of is also important. I am a psychiatrist in Florida and am available to be a protocol physician for any ARNP in this state who needs one.